It seems to me that when it comes to visitors, much of East Kent is overshadowed by Canterbury. Not that there is anything wrong with Canterbury; it is a beautiful little city and, when I'm home, I enjoy making day trips there to browse the shops and soak up some history. But East Kent has so much more to offer. Within the past few weeks, I have made two trips to Faversham, a medieval market town situated some ten miles from Canterbury. 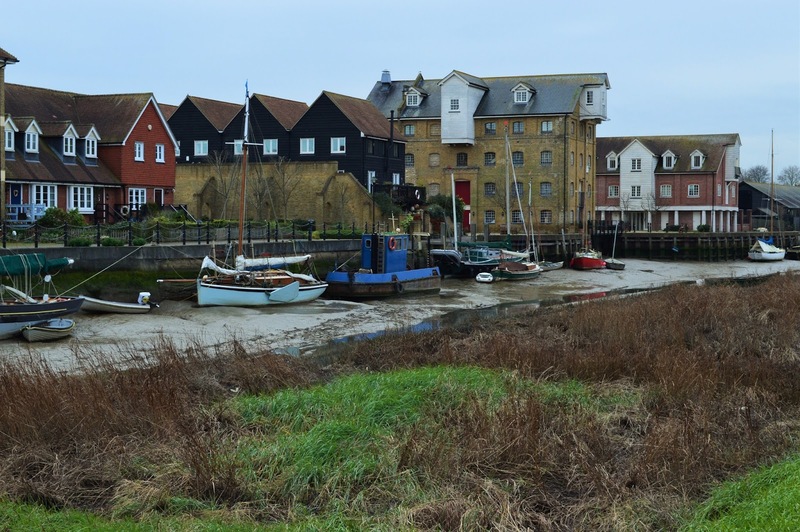 The town has pre-Roman roots as an ancient sea port, and was once home to Faversham Abbey. It was later an important center for both brewing and the explosives industry. The Chart Mills are one of the country's only fully restored gunpowder mills, and they are open to visitors. One of my favorite places to visit when I'm in Faversham is the Shepherd Neame brewery. 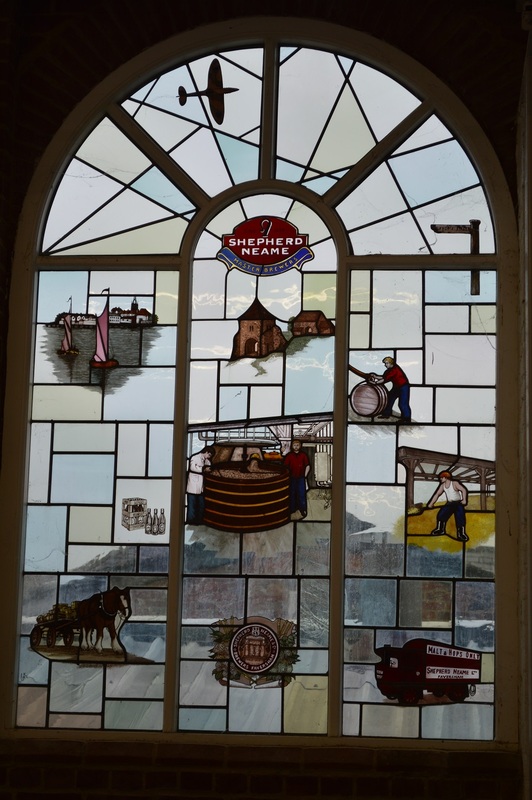 Shepherd Neame, Britain's oldest commercial brewery, has been operating in one form or another in Faversham since 1698, although there is evidence that the brewing of ale was probably taking place on the site before then. It remained in the Shepherd family for generations. In 1864, Percy Neame joined as a partner, and in 1875, after the death of Henry Shepherd Jr., he became the company's sole proprietor. 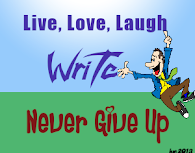 Since then, the company has remained in the hands of the Neame family. Shepherd Neame produces a wide range of beers, and also is the UK distributor for such overseas brands as Asahi and Sam Adams. 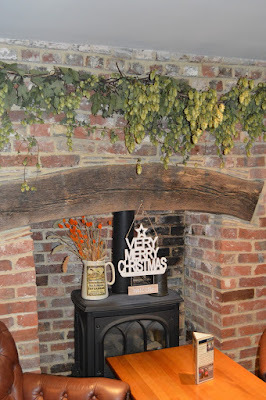 I did the Shepherd Neame brewery tour a few years ago, and knew that I would have to do it again with my husband. Luckily, my parents bought us a tour as a Christmas present and so immediately after Christmas, we went in search of beer. Our guide was a lovely woman named Helen. After showing us a short video about the history of brewing in the town, she led us through the various aspects of the brewing process. We tasted some of the hops and barley used, and learned about the stages involved in producing top-quality beer. 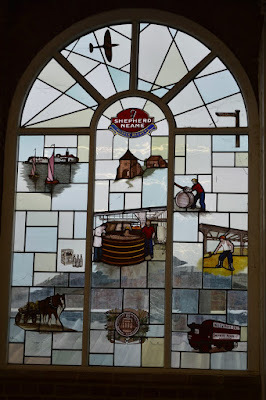 Of particular note are two beautiful stained glass windows, which show different parts of Shepherd Neame's history. In the window shown here, you can see the spitfire plane and a bishop's finger road sign (both have given their names to ales). 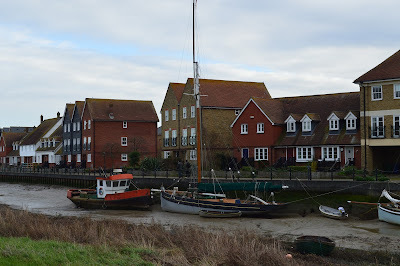 You can also see boats on the creek, other buildings around Faversham, and depictions of the brewing itself. But of course, when you tour a brewery, you all want to reach the end. That's where the beer is. The tour finished in the brewery's pub (open only to tour members). Here we embarked upon a tutored tasting of six Shepherd Neame products. We learned about the aroma, color, and clarity of the beers, and the taste. Each guest received six sizeable samples. Among our day's samples were Whitstable Bay Blonde, Sam Adams Boston Lager, Christmas Ale, Double Stout and (if memory serves) Rudolph's Reward and Late Red. The tour takes about 2 hours and reservations are recommended. 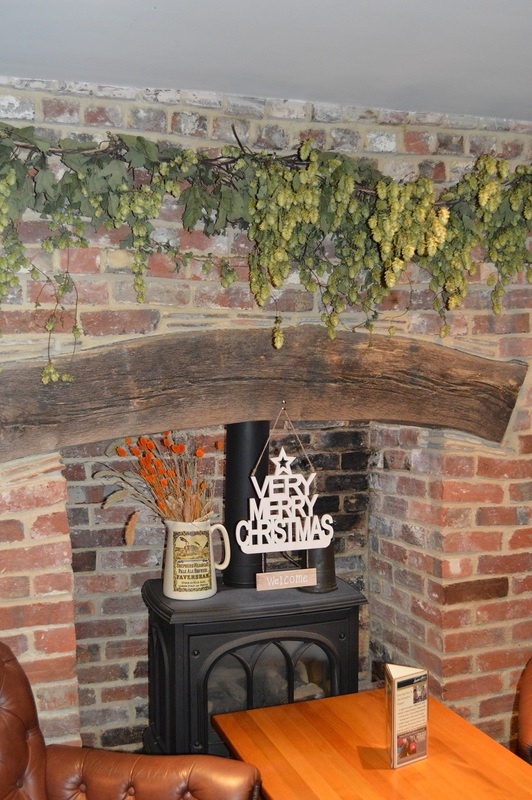 The tours frequently run on a Sunday, and so afterwards, I recommend strolling just up the street to The Bear Inn, a Shepherd Neame pub, for a roast dinner and another pint or two. If you are feeling "ale-d out", there are a couple of very nice tearooms opposite the brewery where you can recover with a pot of Earl Grey and a slice of bread pudding. Faversham also has some wonderful walks along the creeks that surround the town. Although it was a bit too muddy to enjoy some of the trails on the January afternoon that we set out, we were still able to enjoy strolls past moorings, country pubs, and the old priory. So next time you happen to be in Kent, don't just stick to a day in Canterbury. 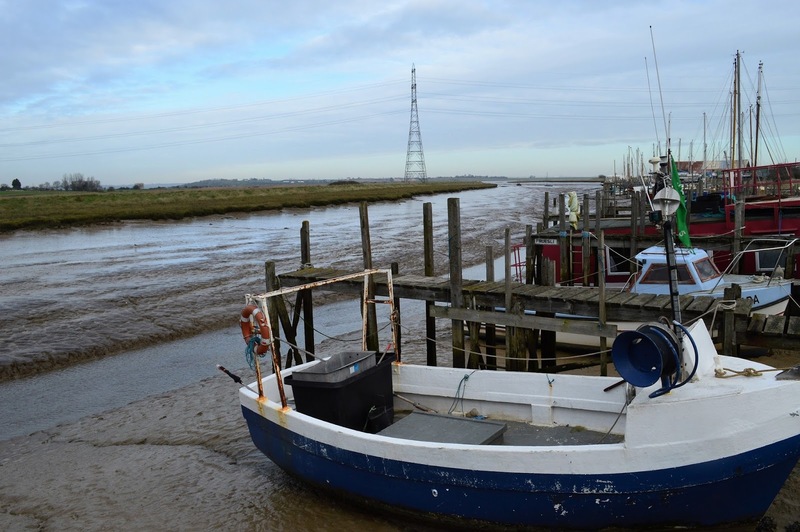 Head to some of the surrounding towns and discover more of Kent's rich history.